Downtown Lowell sure has come a long way since the early 1980’s. My earliest memories of Downtown Lowell involve weekend visits to my grandmother, who once lived in the large apartment building at the corner of Middle and Central streets. During those visits, we would walk up Central Street to Merrimack Street, follow Merrimack up to the left onto Palmer, and come back down Middle. We might have walked all the way to Shattuck on a particularly nice day. One of my favorite games was to run ahead and try the doors of all of the storefronts. Each had a unique doorknob or handle. And each was locked, the stores behind them closed and dark. I never got a chance to see what lay within the stores behind those ornate door handles and darkened windows. Years later, Doors Open Lowell comes along. What a wonderful idea! Finally, I got to see what lies within some of Lowell’s grandest structures and homes. I only wish I could have arranged to see more. For no more than the cost of a tasty lunch at Abu Nawas (and the gas to get there), we visited Doors Open Lowell. First, we saw Tremont Yard, a system of underground tunnels created by engineer James B. Francis in 1855 as part of his turbine experiments. Today, the tunnels lie under the new and modern home of the Jeanne D’Arc Credit Union. Outside downtown, we next visited the Franco-American School, once the elaborate home of Frederick Ayer. The mansion dates from 1876, is one of the most ornate in the city, and is well-preserved by the school. After the visit to the Ayer mansion, we next visited the Spalding House, a Georgian-style house dating from 1761, and the third-oldest home now standing within city limits. The Lowell Parks & Conservation Trust is refurbishing the building, located on Pawtucket Street just a few doors down from the Ayer mansion. Our tour of the building was self-guided, but many members of the Trust were on hand to enthusiastically and generously offer information on the house’s history and its significance to the area. Of all of the historical homes I have visited, these folks definitely win the award for being the most welcoming. I look forward to visiting again when I have even more time to explore. Doors Open Lowell satisfies that curiosity that’s lingered within me from those days when I first peered into closed stores to catch a glimpse inside. 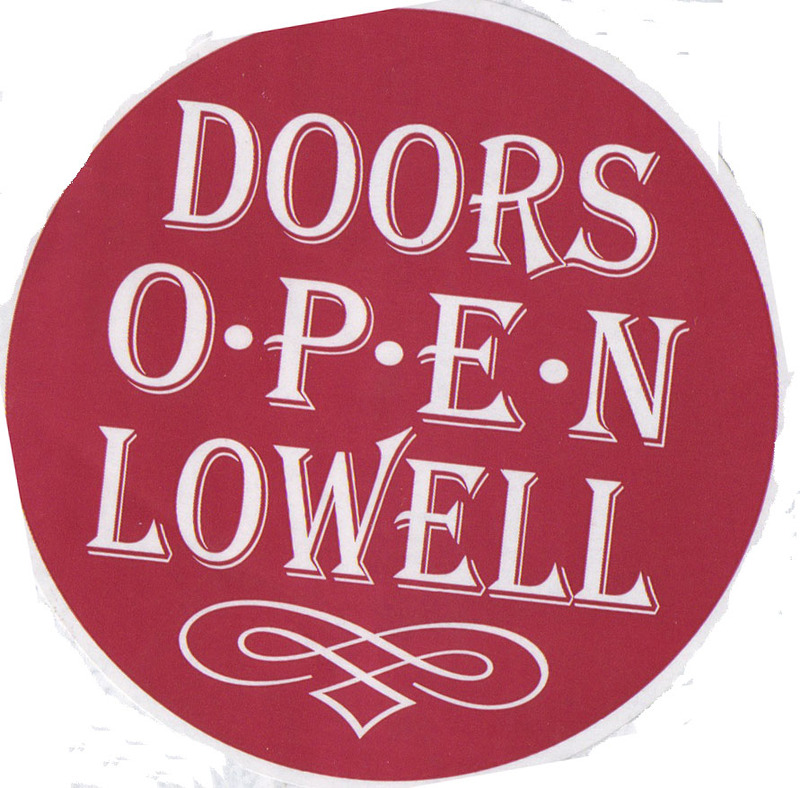 There were so many other great doors that were opened as part of Doors Open Lowell that I didn’t get a chance to see. I hope to visit these next year. Not only does Doors Open Lowell succeed in satisfying my curiosity about some of Lowell’s most storied institutions and homes, it also serves to showcase just how far Lowell has come from the streetscape of closed doors and empty storefronts I remember from the early 1980’s.